There are several reasons why the “bigger weights = bigger muscles” myth won’t die. The first and most obvious reason is that when people first start working out regularly, their body usually responds quickly with lots of new muscle growth. Without much knowledge of how hypertrophy works, it’s logical to think you should just keep piling on the weight…until you injure yourself or hit a plateau. Beginner lifters also see bodybuilders in the gym and on the internet lifting super heavy and figure: “Hey, this guy’s chest is so big because he’s benching 10 reps at 315. 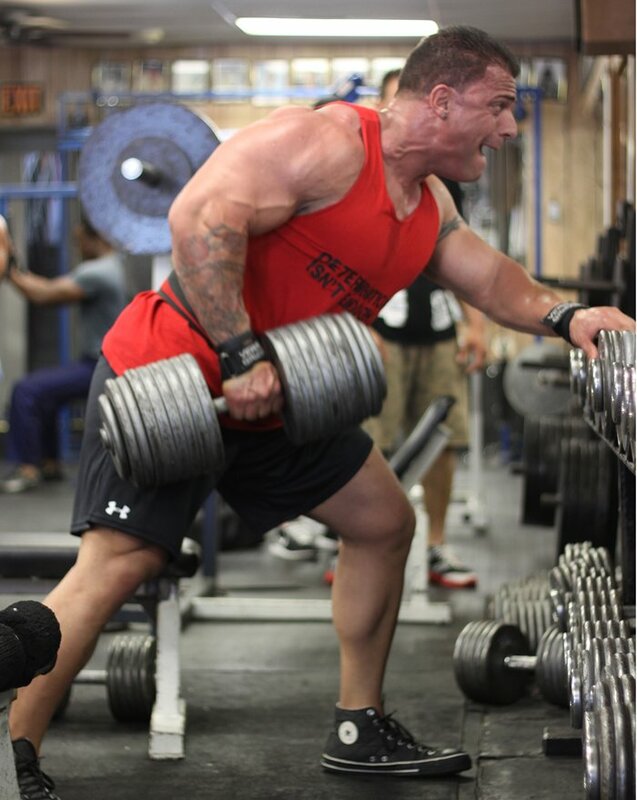 I need to bench that, too!” But for most people, comparing yourself to an IFBB pro bodybuilder is a bad idea. These men and women have worked hella hard to get where they are. You could work hella hard, too, but unless you have the right genetics, your odds of making it into this elite group of athletes are not great. In my experience, a lot of these elite lifters don’t realize the role genes have played in their success. They think that if everybody else in the gym just lifted harder and heavier the way they do, they’d be swole just like them. Without those genes, though, you can build an amazing physique— just maybe not a showstopper. So, what builds muscle? Intensity. But remember, intensity is intensely personal. I can grimace, grunt, and groan, throw the weights around and get them to sound the Lunk Alarm on me at Planet Fitness, but at the end of the day, intensity is subjective. Only you can feel how hard you’re working. No one else in the gym can get inside your head and body and experience what you’re experiencing. Is lowering your reps and piling on the weights from workout to workout the way to increase intensity? Definitely. But after a while you’re going to hit a wall in your ability to increase both your strength and your muscle mass—and to do it without tearing up your joints. It’s best to have a few tricks up your sleeve.